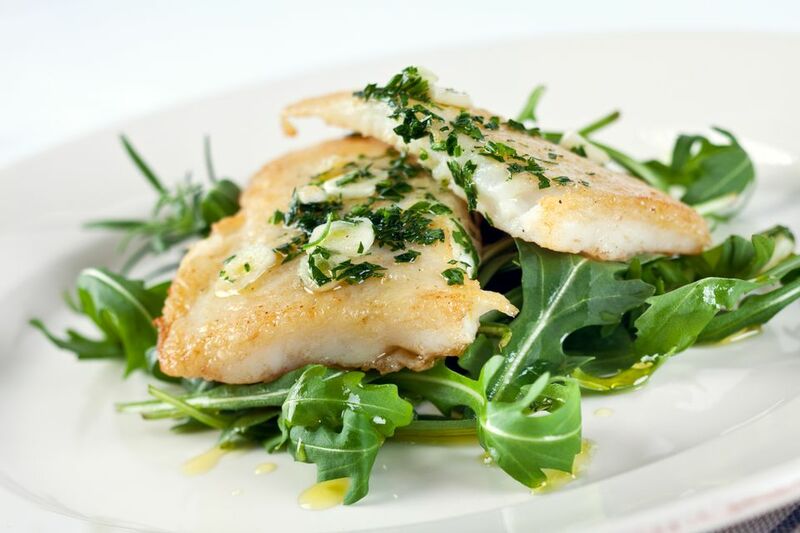 Giora Shimoni likes to serve this Lemon Herb Baked Halibut as a gefilte fish alternative for holiday dinners (dress it up by serving atop lightly-dressed baby arugula), or as a main dish on summer Shabbat evenings, when dinner tends to be served late. Shimoni notes that other white fish, such as cod or tilipia, can be used in this recipe instead of halibut. Make It A Meal: To compliment the halibut without overpowering the delicate herb aromas, emphasize light, flavorful dishes. Serve alongside a green salad and this Farro with Spice Roasted Chickpeas and Cauliflower​ or Quinoa With Arugula, Butternut Squash and Citrus Vinaigrette. Finish the meal with Cherry Bourbon Compote served over Citrus Soaked Butter Cake. Line a shallow glass dish with parchment paper, and place the halibut fillets in the dish in a single layer. In a small bowl, combine the olive oil, lemon juice, parsley, basil, salt, pepper and garlic. Pour the marinade over the fish. Cover and refrigerate for 1 hour. Preheat the oven to 450°F (230°C). Pour the marinade out of the dish. Bake the fish, uncovered, in the preheated oven for 15 minutes, or until the fish easily flakes with a fork. Serve immediately.